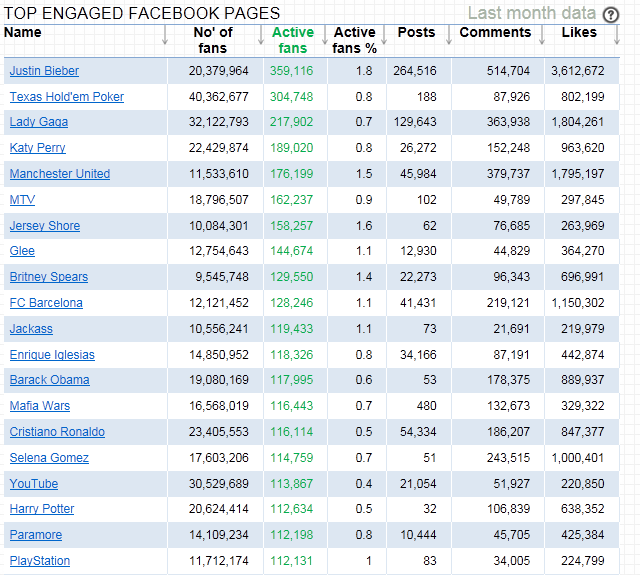 So Facebook engagement is fickle and varies month on month. Here’ are the latest stats from Fangager showing the change in the top 5 rankings from last month…. This entry was posted in Community, Facebook and tagged Facebook, Facebook Engagement, Fangager, fans, interaction on April 28, 2011 by eileenb.